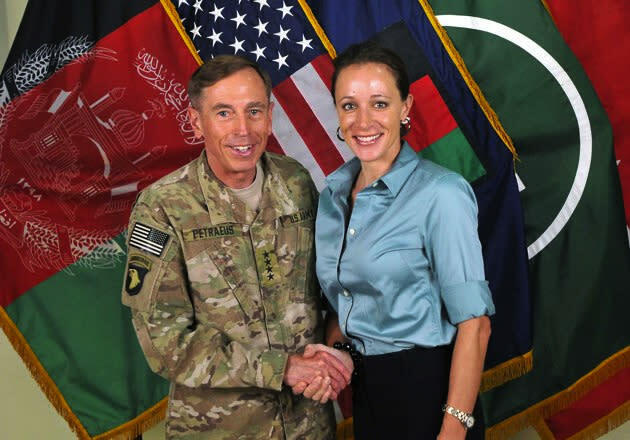 A recent University of Denver address by Paula Broadwell has set off a torrent of speculation as to whether her affair with Gen. David Petraeus resulted in a leak of classified national security information. New York magazine got things started by posting a video of Broadwell, author of Petraeus' biography, "All In," discussing details of the Sept. 11 attack on the American Consulate in Benghazi, Libya, at the Oct. 26 talk. In the video, since posted by several sources to YouTube, Broadwell states: "Now, I don't know if a lot of you heard this, but the CIA annex had actually, had taken a couple of Libyan militia members prisoner, and they think that the attack on the consulate was an effort to try to get these prisoners back. So that's still being vetted." That clip has led some to speculate whether Broadwell was exposing previously unreported details about the attack. Other major media outlets, including CBS News and The Daily Beast, have picked up on the video clip. Wired goes a step further, stating as fact that Broadwell did reveal new information, writing: "It was a surprising disclosure, given the deep classification of the CIA's detention policies—and the enormous political stakes surrounding the Benghazi assault. But in many ways, it was only natural for Broadwell, given her evolution from Petraeus protegee to biographer to paramour and unofficial spokesperson." And Politico points to a July panel discussion at the Aspen Security Forum during which Broadwell claims to have had access to classified information and to have attended high-level security meetings with Petraeus. However, Broadwell's sound bite could be entirely innocuous, New York magazine notes: "It's also possible that she just misunderstood something she heard on Fox News." The Fox News Channel reference concerns a report FNC reporter Jennifer Griffin made earlier the same day as Broadwell's university address, in which Griffin cited sources claiming that the CIA was holding high-value detainees in the Benghazi facility at the time of the attack. Griffin has since updated her reporting, noting that a well-placed Washington source confirms that Libyan militiamen were being held at the CIA annex and may have been a possible reason for the attack. Multiple intelligence sources, she also reported, said "there were more than just Libyan militia members who were held and interrogated by CIA contractors at the CIA annex in the days prior to the attack. Other prisoners from additional countries in Africa and the Middle East were brought to this location." The CIA has denied keeping militants at the facility. CIA spokesman Preston Golson said, "Any suggestion that the agency is still in the detention business is uninformed and baseless." Basically, so far we have a lot of speculation, with individuals commenting on a potential national security leak concerning details of a situation the government says never took place. Stay tuned.